We are a family run California Labrador Retriever breeder located in the central valley. We are 20 minutes from Fresno in the Sierra Foothills of Madera County. We breed champion pedigree hunting and family pets. We strive to place the correct lab into their new home. We evaluate the needs and environment of the new owners and match them up with a Labrador that will thrive. We primarily hunt with our dogs in the central valley. We regularly hunt Mendota. We also travel throughout California to hunt. We hunt in Sacramento, Central Valley and Northern California. We are an AKC CALIFORNIA breeder of LABRADOR RETRIEVERS. 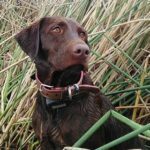 Sierra Valley Labs is a breeder of American CHOCOLATE LABS, American YELLOW LABS and American Black Labs located in the California San Joaquin Valley. We produce Top Quality CHOCOLATE LAB PUPPIES, YELLOW LAB PUPPIES, and Black Lab puppies. As a breeder of CHOCOLATE, YELLOW and BLACK LABS we have placed labs throughout northern California, including San Francisco, Burbank, Alturas, Sacramento, Fresno and Santa Barbara. Our LAB PUPPIES for sale in California come in Chocolate, black and yellow. We do not currently have English labradors in black, chocolate or yellow. All of our lab puppies are AKC registered. We are very involved in Waterfowl Hunting with our labs. Our labrador puppies are from amazing pedigree with many generations of national champions.